Emile Jellinek, a Hungarian-Austrian diplomat at Nis and a representative of DAIMLER cars, convinced Wilhelm Maybah to design a few lower, lighter and stronger cars for him that Jellinek "baptized" with the name of his older daughter , MERCEDES. 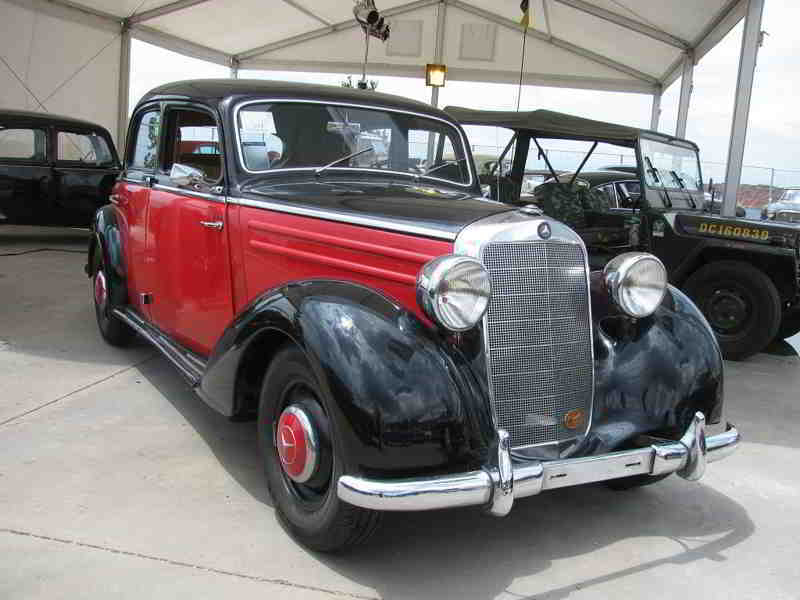 After the end of the war, the rebuilding of the company took some time and the first post-war car was the 170SV, equipped with a side-valve engine and first production in 1947. This car is fitted with a 1587cc 4-cylinder water-cooled engine, rear drive and a gearshift lever on the steering wheel. The front doors open to the opposite, and the suspension carries an automatic lubrication system. The SV series is distinguished by the particularity of the front suspension fitted with a transversely mounted tribrach with the ends of which are connected to the front scissors. 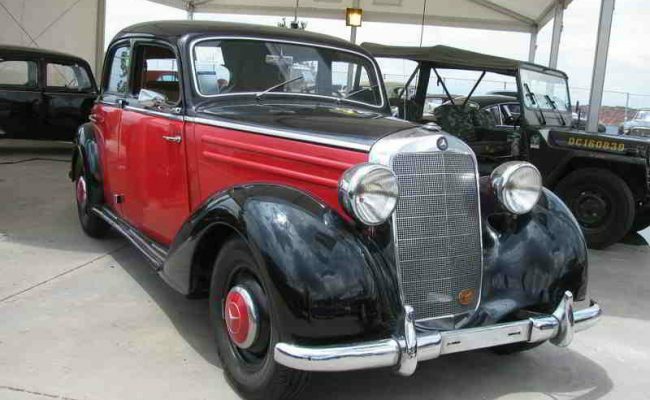 The car had great commercial success and its production after the war exceeded 1,000,000 units.